Milford NS received their sixth Green Flag for Global Citizenship Energy in 2015 and started their work on the latest theme, Global Citizenship Marine Environment in September 2016 as part of the pilot phase for this theme. The school is located in Castletroy, Co. Limerick and comprises of 500 students and 40 members of staff. Please note: As the 2017/2018 academic year is just the second year of the theme, this school has not yet applied for the renewal of their Green Flag but as members of the pilot scheme they have achieved a lot so far! A mixture of students from third to sixth class is represented on the committee. They are voted in, or some classes have a lottery and some students are picked by their class teacher each year. They meet on a monthly basis. Initially the school carried out the marine litter survey with third, fourth, fifth and sixth class. The initial findings were that awareness about where marine litter came from, what the term means, and what the main sources of marine litter were was very low with on average only a quarter of the people in the school being able to answer these questions. 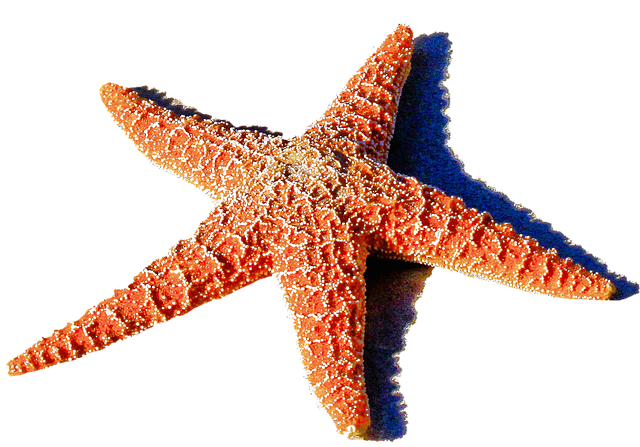 The committee monitors and evaluates the programme through repeating the marine litter surveys. 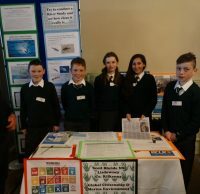 They found that overall awareness of the problems associated with marine litter increased to an average of 95% of people in the school knowing what the problems were and that they had the power to make changes even though they are an inland school. They keep promoting re-usable bottles and they keep picking litter to alleviate the problem. 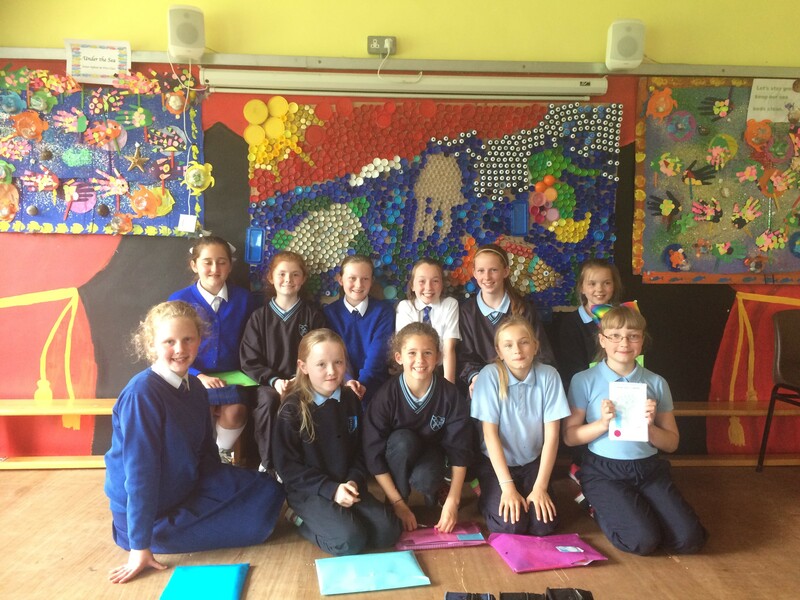 They created art with marine litter and plastic waste; fourth class created a Powerpoint presentation about marine litter on the rocky shore and learnt about the importance of the rocky shore environment. Through science they also learnt about microbeads. To inform and involve their local community they held their annual international day celebrating the different nationalities in the school. This year, however, they organised the celebration on World Ocean Day and incorporated all their work on the Marine Environment theme. They also invited visitors from Marine Dimensions to speak to the children, created art with marine litter with all the classes in the school and exhibited the work in the Don Bosco centre. and I start with me!